I found losing Juliet quite by accident. Whilst browsing twitter I happened upon a tweet from whom I dont remember. The tweet told me to forget my TBR pile and put Losing Juliet to the top. As I believe everything I read on twitter I had no choice. I had to do as I was being told by a faceless 140 character paragraph on the internet. The book is told in alternating chapters through the eyes of Chrissy, who is reluctantly explaining to her daughter Eloise why she no longer speaks to her one time best friend Juliet. This comes about after Juliet, who is now a worldwide fashion designer, finds Chrissy and wants to rekindle their friendship. So we are taken back to France 1989 with the two of them working their way their summer break. The second part of the book takes part in Italy where Chrissy, Juliet and Eloise are staying at a luxury getaway. This is where plans come to a head. Truth and lies are exposed until a quite fantastic last 20%, which left me on a few occasions breathless, quite literally.I hold my breath when im reading tense parts of a story. There are a few twists and I just didn't see the first one. It was marvelous. The kind that made me turn off my kindle to take it all in. My only tiny criticism of the book is the start of the second part felt like a tourist guide to Italy but that's me being extra picky. I loved this book and felt so so sorry for Chrissy. 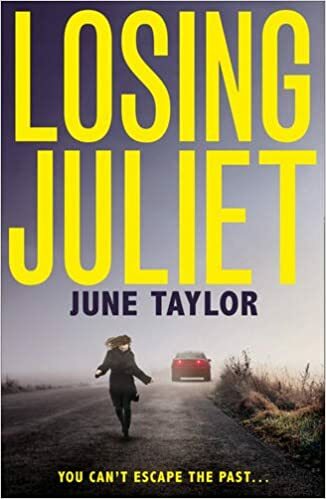 I have read some fantastic books this year and without doubt losing Juliet is in my top 10. Loved it.